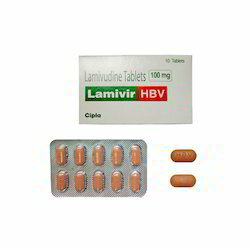 We have emerged ourselves as a prominent processor of Lamivir-HBV Tablets, which have been formulated by utilizing the best grade ingredients and latest technology methods. Our large gamut of these tablets is developed under the able-guidance and support of the industry heads. Entire range of our products is passed through several quality parameters that make assurance of the quality of our range. We are involved in providing high quality P-Carzine Capsules in industry. 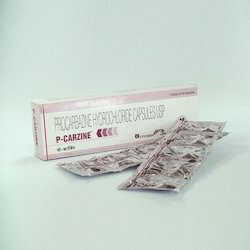 P-Carzine Capsules (Procarbazine HCL) is used as a treatment during the stages 3 and 4 of Hodgkin lymphoma. P-Carzine is an anti-neoplastic drug that is commonly used alongside other medication to inhibit the growth of cancer cells. Be aware that this medication also effects non-cancerous cells and use will likely have side effects. By following international guidelines, we have developed our comprehensive range of these tablets in defended sized packaging that meet individual requirements of the clients. Keeping in mind the various requirements of the customers, we are involved in offering best quality of Erythropoietin Injection. 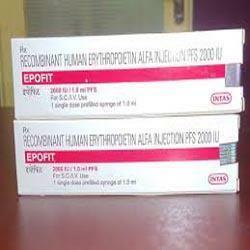 The Erythropoietin Injection is processed by using good quality chemicals. The Erythropoietin Injection is extensively used to treat anemia resulting from kidney failure or cancer treatment and to treat severe anemia in patients with kidney disease. Our products are safe to consume. As per the demand of our clients, we offer an exclusive and high quality range of Bleomycin Injection. These Bleomycin Injection have the accurate mixture of safe chemical compounds process by using newest technology according to the market norms. These Bleomycin Injection are extremely valued for their attributes and tested properly by pharmaceutical experts in order to deliver safe delivery. These are combinations of various antibiotics and are very effective. Our ranges of products are processed under the strict supervision of our quality experts. Looking for Life Saving Drugs ?